Never Share the Stage with a Child or a Dog: Mallard Fillmore cartoonist Bruce Tinsley drew the wrath of a 12-year-old girl recently by taking a poke at dog shelters, but when she called him on it, he was quick to respond. In the strip, the curmudgeonly title duck looks for a dog online and muses, “How stupid does the shelter think I am? Like I can’t tell when they Photoshop the dogs for cuteness?” Seventh-grader Zoe Pohlman wrote a letter to the Charlotte News & Observer, saying, “Animal Shelters are not something to joke about. And Mr. Tinsley took it way too far. Dogs will be put down if not adopted.” Tinsley responded graciously, offering to do a sketch for Pohlman and reassuring her that the storyline would take a very different turn before it ended. 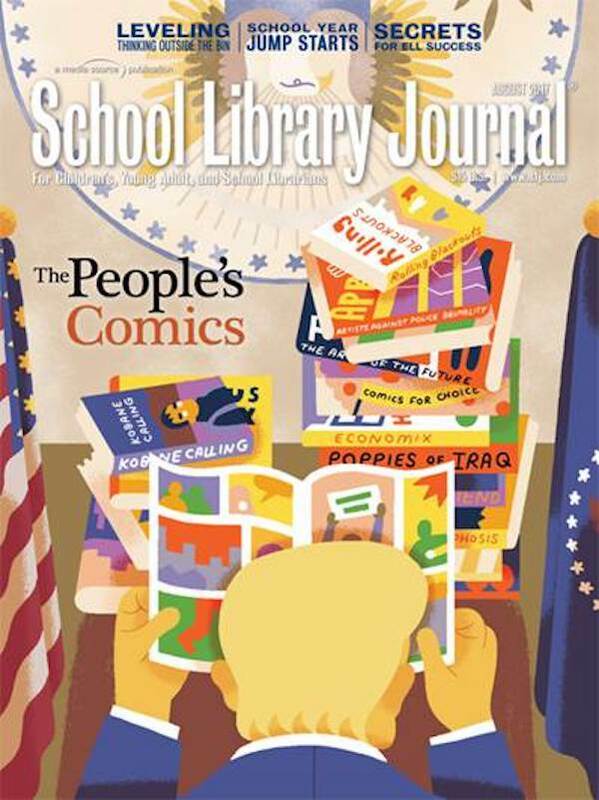 Comics in the News: I wrote the cover story for this month’s School Library Journal, a look at graphic novels that either cover current events or provide background that helps the reader understand the news. I could have written twice as much, and if the article had been about books for adults rather than teens I would have included the really great Walking Wounded as well as work by Guy Delisle and Joe Sacco, but I think the books and creators I covered make a pretty good starter list for anyone who wants to learn more about the world around them. Ellis Rosen talks about being cartoonist-in-residence for the New Yorker, a job that entails being able to quickly confect cartoons based on the news, and shows off some cartoons that didn’t get into the magazine. Sarah Glidden and Guy Delisle discuss their latest works, which go behind the headlines to unearth some more universal truths: In Rolling Blackouts, Glidden travels through the Middle East with a group of independent journalists, while in Hostage, Delisle chronicles the three-month captivity of Christophe André, a Médecins Sans Frontières worker who was kidnapped in Chechnya in 1997. Bullish on Comics: Finally, here’s a creator with an interesting career path: Bob Rich left his job as an editorial cartoonist for a Springfield, Massachusetts, newspaper in 2013, and now he’s the in-house cartoonist for Hedgeye, a financial research and media company, drawing often opinionated cartoons about financial and economic issues. 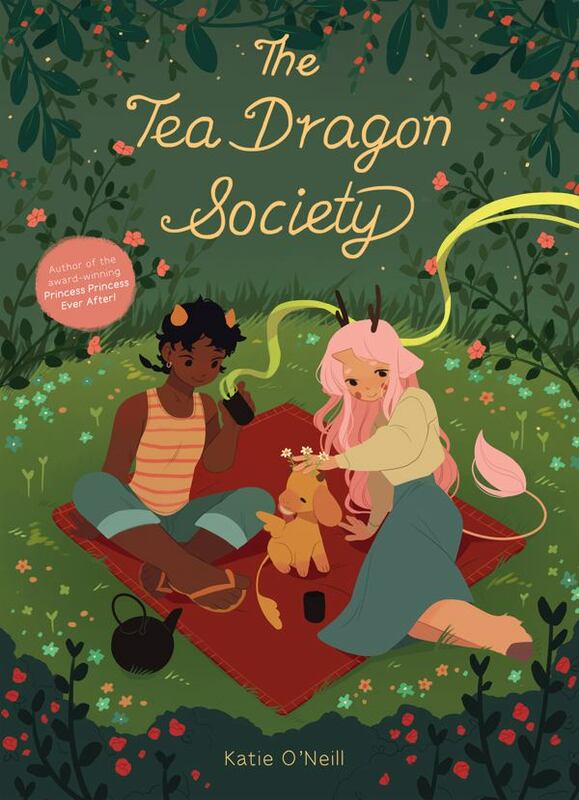 Tea and Empathy: Katie O’Neill talks about her new book, The Tea Dragon Society, which is due out in October; although it’s an all-ages book, it’s really lovely and a good choice for adults as well. Canine Companionship: Nicole Georges discusses her new graphic memoir Fetch: How a Bad Dog Brought Me Home and shares some thoughts on queer women creators as well. Riess’s Pieces: If you haven’t read Space Battle Lunchtime yet, you’re missing a treat—I’ve been describing it as “Iron Chef in space, with cute girls,” but that way undersells it. 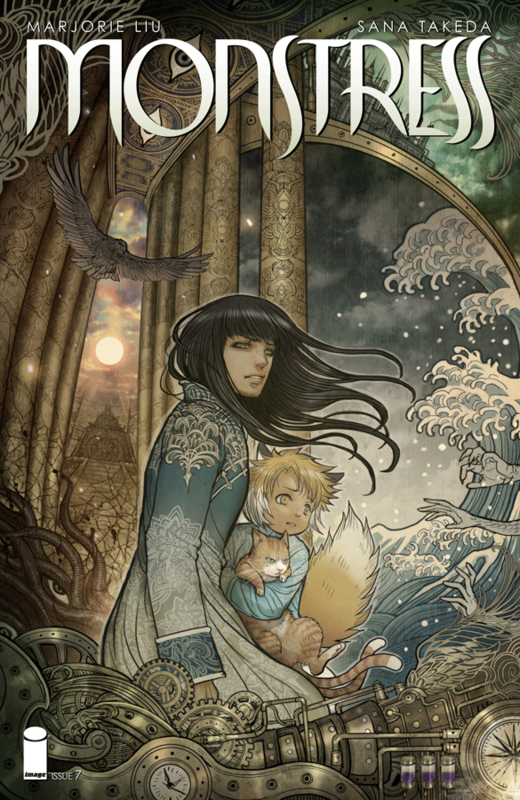 Check out this interview with creator Natalie Riess for more, including her one regret about the comic (which she fixed in the epilogue), as well as some free samples of the artwork and a bonus cupcake recipe. Manga Media Switch: Digital manga have caught on in Japan to the point where digital sales are poised to surpass paper in the near future. That reflects both an increase in digital and a drop in print sales; reporter Kazuake Nagata looks at the challenges that presents for the Japanese manga industry.